This article, by Stu Gilfillen, is from the March 2018 “Learn to Sail” issue of 48° North. unique programming opportunities. Community sailing programs often offer a “Mommy (or Daddy) and Me” program that allows parents to go sailing with their 5-8 year olds. Adult sailing programs might offer the full-meal-deal cruising course that can bring a sailor with no experience to the level of certified bareboat skipper in a matter of days, in comfort and style on a spacious cruising boat. Perhaps you’re already a competent sailor, but you’re looking to learn more about navigation, using spinnakers, or passage-making. The opportunities are nearly endless, and it’s likely that a school that fits your interests is located in the Pacific Northwest. Even if you’re pretty sure exactly what your sailing goals are, committing to a sailing course is still a time commitment. To help, many organizations offer a “taster” course that gives you a few hours on the water to get the hang of things at a very low price. One example of this type of program is the First Sail Experience (www.firstsail.org), which was developed by US Sailing in the summer of 2016, but may also be available at schools with different affiliations. 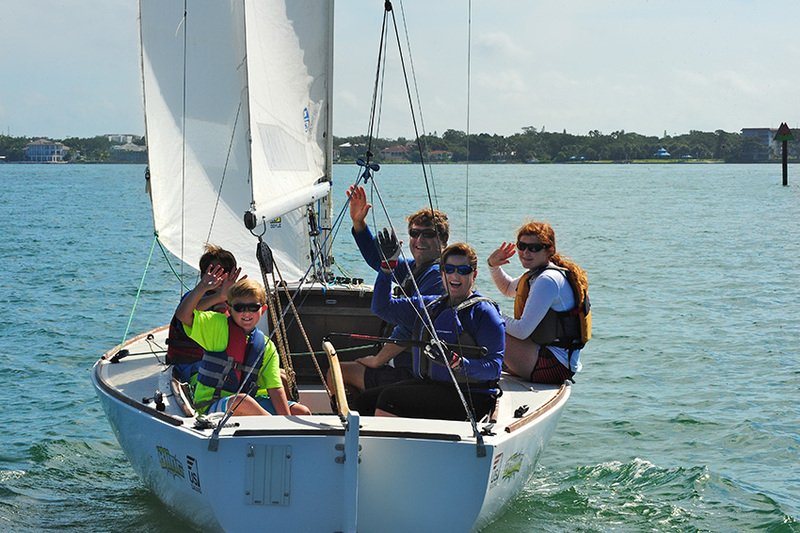 The experience offers beginners an inexpensive introduction to sailing in a casual setting. While the structure can vary slightly, usually the experience will last 2-3 hours. You may also find opportunities for free boat rides at boat shows or events, offered by operations that specialize in education. While there is no replacement for hands-on learning, there is a lot that can be learned before you even leave the dock. Most introductory courses begin with a classroom session which gives you a chance to gain some knowledge before you leave the dock. If you’re looking to get a jump on that process, you can look into an online course or enjoy a variety of instructional videos (most certification associations offer one or both), so you can take it for a test run to see if you like it before you dive in to the full course. 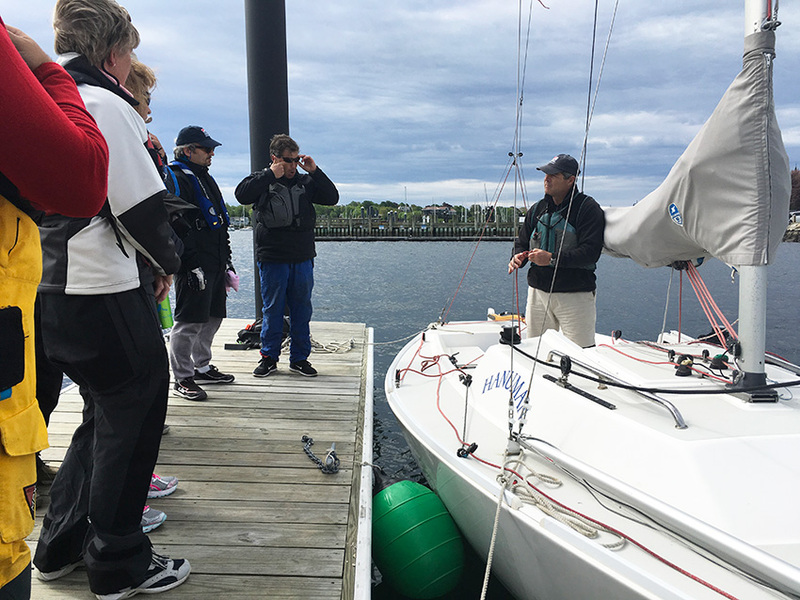 Using an instructor that’s been certified by a national organization, like US Sailing or American Sailing Association, is assurance that they’ve been vetted by a third party and have met national standards. The same goes for schools. Any location that can boast that they’re an “accredited” center has met certain criteria than ensure they have a complete curriculum, safe equipment, and trained instructors on staff. In short, going with an accredited center helps confirm that you’re getting the best possible experience and instruction. Additionally, accredited schools can offer you a certification from the national organization, which is useful because it’s recognized by other schools across the country who have the same accreditation. This means that you can complete your first certification in Seattle, and the next certification in the series when you travel to Southern California (or elsewhere). However, just because the weather and water might be warmer, don’t underestimate the local knowledge you have access to if your sailing education takes place in the location in which you intend to sail. It’s important to remember that the phrase “right clothes” is not synonymous with “new expensive ones.” There’s a pretty good likelihood that you have everything you’ll need in your closet. Avoid materials, like cotton, that are highly absorbent, and plan to dress in layers so you can add, or remove, clothes as needed. Wool or synthetic fabrics are great because they will keep you warm even if they get wet. Any coat that sheds rain is perfect for keeping the spray off you. To keep from slipping (or stubbing your toes), wear rubber-soled shoes that cover your entire foot. Old sneakers should work perfectly. Also, don’t underestimate the sun. Even if it’s an overcast day, you can still walk away with a sunburn, so be certain to protect yourself. Find a hat with a brim and load up on sunscreen before you go out. As you continue your sailing career, you may want to buy sailing specific clothes. When you’re ready to take this step, speak with your instructor or school operator. They may have suggestions about what to buy. 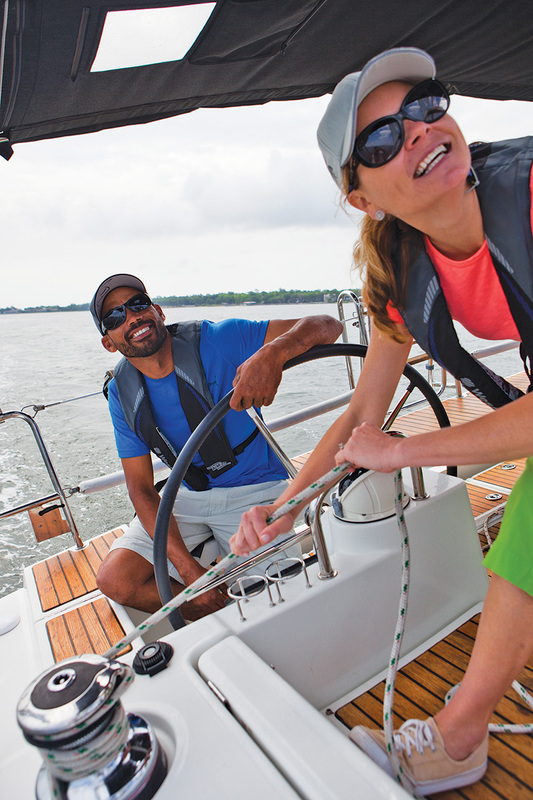 Additionally, if you’ve completed a certification, you probably have automatically become a member of the certification organization, and that may come with discounts on number of products, including sailing gear. And while it goes without saying, cellphones and water aren’t the best of friends. Make sure to find a waterproof bag for your phone and your car keys or, better yet, leave them on land while you’re sailing. Life happens. You may find that at the last minute you need to reschedule your lesson because of a family emergency. Or perhaps the school needs to postpone due to bad weather. So, what happens? Before you sign up, ask the school what the transfer and refund policies are. In some cases, they’ll let you make up the course later. In cases of inclement weather, it’s good to know if the class is canceled, rescheduled, or turned into a classroom session. It’s also worth asking what happens if you’re not satisfied at the end of your course. Whether you don’t feel that you learned enough to be comfortable, or weren’t able to quite complete that certification, it’s important to know if the school will provide you with opportunities to help continue your education. Remember- their goal is to help you become a confident sailor, so it’s in their best interest to help you succeed. While each school may have a different policy, knowing what to expect will help ensure that you’re prepared. It’s likely that you know someone who has gone through a learn to sail program. Reach out to them and get their feedback. Online reviews are also valuable, but nothing replaces a testimonial from someone you know. 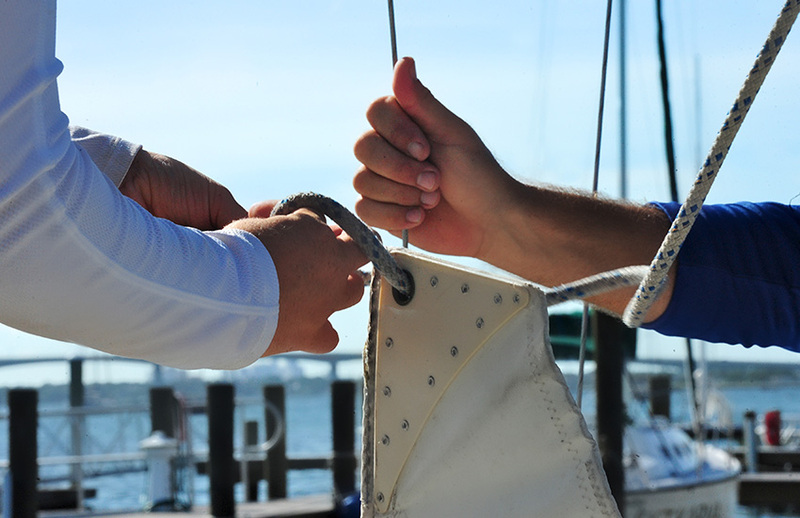 If you have already worked with a sailing program you believe in, don’t be shy. Tell the world! This is a tongue-in-cheek way of encouraging you to find out what social events the sailing school might offer. This could be a free seminar on navigation, or a flotilla that gets members together to cruise for a few days. Humans, and sailors specifically, are social creatures. Having opportunities to meet like-minded people will mean more fun during your lessons, improving your experience. The common denominator with all the best schools is how they communicate, and the type of culture they foster. A good school is as focused on making you a good sailor as they are on making you a part of their community. Communication is a key component of this. Expectation setting is important, but it’s great to remember that a sailing school’s interests should align with yours. They want you to keep sailing, both because it’s part of their business, but also because they want you to be a part of their community. To ensure that you take advantage of (or are at least aware of) additional social or educational opportunities, be certain to get yourself on the school’s mailing list. Also ask them if there are any other newsletters you should get on, or crew-finder forums to join. These can be a great way to get free tips and guidance. Much like any other activity, knowing what you’re getting involved with will help you have a better experience. Asking a few questions and grabbing the right gear means you can focus on having fun and learning. Smooth sailing! Stu Gilfillen is the Education Director at US Sailing. Photos courtesy of US Sailing.